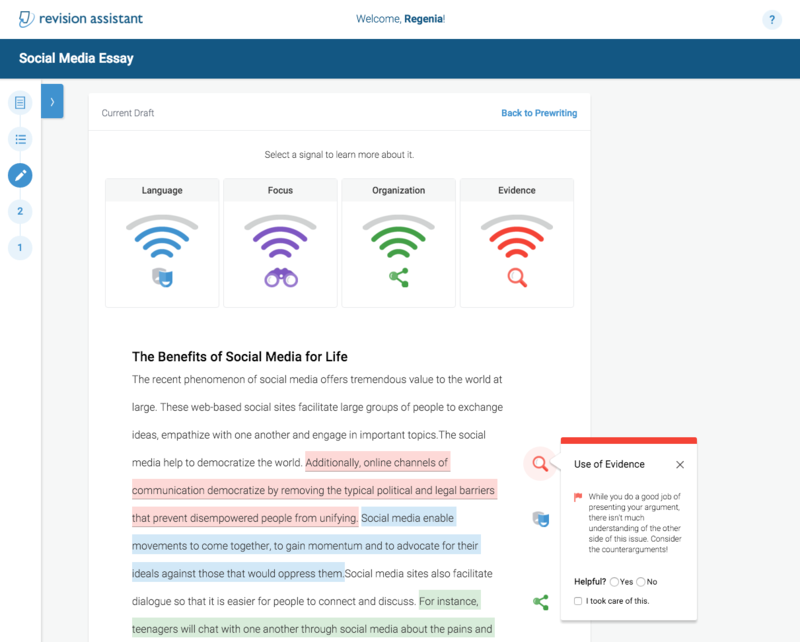 Turnitin, best known in education circles for its technology designed to detect plagiarism in students' papers, has launched a new tool that aims to improve those students' papers during the writing process. 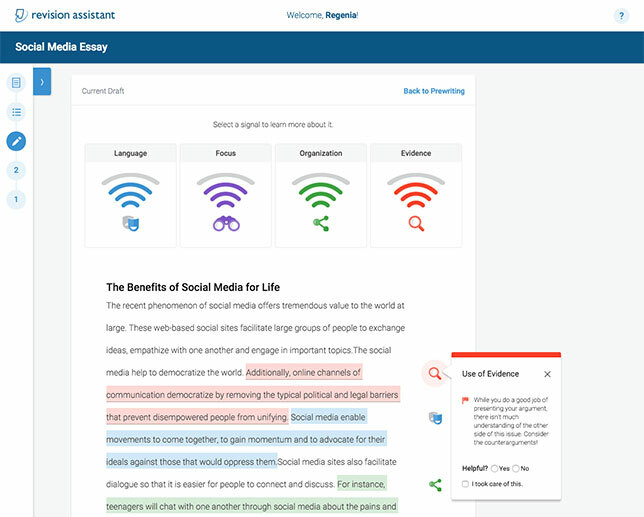 According to Turnitin, the technology, called Turnitin Revision Assistant, goes beyond simple grammar and spelling checks and instead provides "actionable comments" on demand, offering feedback on such aspects of student writing as "focus, use of evidence or organization, among many others," according to the company. "Writing is the one subject critical to academic and career success yet is almost entirely unsupported by existing educational technology. Of the hundreds of reading and math applications to support instruction, very few provide meaningful feedback on writing beyond grammar and spell-checking," said Chris Caren, CEO of Turnitin, in a a prepared statement. "Revision Assistant gives students holistic, specific feedback on their writing in a way that encourages them to revise multiple times." Turnitin reported that it piloted Revision Assistant in 2015 with 18 middle and high schools, involving 164 educators and 3,439 students. During the pilot, some 94 percent of students performed at least one revision on their papers, and the average number of revisions per student was 10 among middle school students and six among high school students. Also noteworthy: During the pilot, middle schoolers' papers doubled in length, and the length of high schoolers' papers grew by 70 percent. "With Revision Assistant students get the immediate feedback they need to improve their writing," said Susan Van Doren, an English teacher from George Whittell High School in Zephyr Cove, NV, in a prepared statement. "They write more, and they revise more. Having that instant feedback of the signal bars challenges them to improve. With Revision Assistant, students submitted the best essays I got out of that class all year." The software is targeted toward grades 6 through 12 but is also designed to support developmental writing in post-secondary settings.